Since it’s been over 2 ½ years since Elvis History Blog last examined the status of Elvis Presley Enterprises, it’s time for a 2015 update on the company created to manage the Elvis brand after his death. At the time of our last update in February 2013, EPE was at a tipping point. It had the potential to thrive or to be driven into the ground. And there was nothing Presley fans could do but sit back and watch. Let’s back up a few years to see how the company got to that point. The Presley estate was on the verge of collapse after Elvis died in 1977. Priscilla wrestled control away from Colonel Parker, opened Graceland to the public, and rebuilt the commercial value of Elvis’s name through EPE. Ownership of Graceland and EPE eventually passed to Lisa Marie, as the heir to her father’s estate. Most long time Elvis fans were shocked when they learned in December 2004 that Lisa Marie had sold 85% of her interest in EPE to Robert Sillerman’s company, CKX, Inc., for $100 million. The deal was for control of Elvis’s image only; Lisa Marie retained complete ownership of Graceland and its vast archives. She still owns her father’s home today, so it has not shared the fate of EPE, which has since been passed from hand to hand in a high stakes game of corporate football. Sillerman had made a name by buying companies on the cheap and reselling them to giant media outfits for big profits. He apparently had the same fate in mind for EPE. He talked a big game about building the company but accomplished very little before CKX, along with its subsidiary company EPE, was sold to Apollo Global Management LLC in May 2011. Apollo Global is private equity company, which, like Sillerman, makes money by buying established companies and selling them later at a profit. So it was no surprise when Apollo sat on the Presley brand for 2 ½ years before selling it for a $25 million profit in November 2013 to New York-based Authentic Brands Group LLC. During the decade EPE was being tossed around, Lisa Marie retained her ownership of Graceland and her 15% stake in EPE. The company also remained in the same capable management hands through it all. Jack Soden is still the president and CEO of EPE, a position he’s held for more than 30 years. As noted above, Lisa Marie retained her ownership of Graceland and 15% ownership of EPE, and Jack Soden remained president and CEO of EPE. As part of the Authentic Brands purchase, though, another major player entered the Presley business picture. 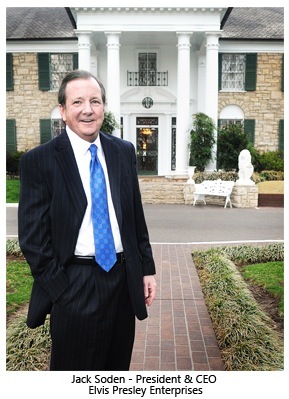 Joel Weinshanker, founder and chairman of the National Entertainment Collectibles Association, became a partner with the Presley family in the management of Graceland. After wandering in the wilderness for a decade, EPE appeared to Elvis fans to be in the hands of a company that would shepherd it into the future with care and commitment. But would the actions of the new owners match their rhetoric? Among the new EPE’s first strategies to increase the Presley profile was to cut back on the glut of cheap Presley merchandise then available and replace it with more “high-end” (aka “expensive”) items. It’s likely, then, that Elvis images on hats, belt buckles, and plastic swivel hip clocks will be replaced with classier collectible items more focused on Elvis’s career and personal tastes. “If you’re going to expand the brand, expand in the narrow frame of what Elvis stood for, instead of things that aren’t related to his personality,” counseled brand executive Ralph Berry. In January 2014 he told the Memphis Business Journal that expansion plans included a “possible new hotel and Elvis-centric entertainment venues” that would encourage Graceland visitors to spend a couple of days rather than a couple of hours to see it all. By April 2014, the “possible” new hotel was on the design table. EPE announced that a 450-room, $75 million hotel, tentatively named “The Guesthouse at Graceland,” would be built next to Graceland. Plans at that time included a restaurant, a sports bar lounge, and space for meetings and events. It was hoped the hotel would be open for Elvis Week in August 2015. By May 2014, demolition of buildings had begun near the corner of Elvis Presley Boulevard and Old Hickory Road. 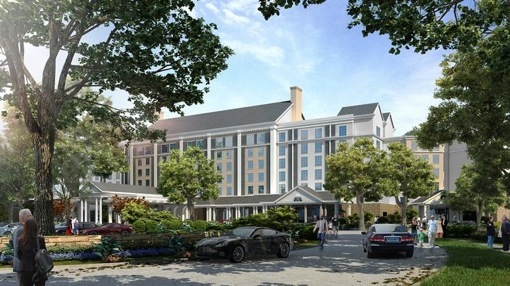 Architectural drawings revealed that the “Guest House” would have a “resort” character, with a large swimming pool, an outdoor events area, and over 400 parking spaces. Finally, during Elvis Week in August 2015, EPE announced that the grand opening of “The Guest House at Graceland” would be held October 27-30, 2016. Scheduled to be on hand for the four-day celebration were Presley family members, friends of Elvis, musicians, and celebrities. The exhibit at the Westgate will also house “Elvis Presley’s Graceland Wedding Chapel,” operated by Elvis Presley Enterprises. 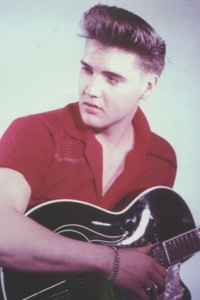 During Elvis Week 2015, EPE offered “Elvis 101,” a tutorial for younger fans. 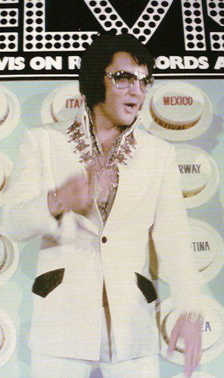 Elvis’s influence on music and American pop culture was on the course syllabus. “Students” in the class heard talks by scholars, authors, and others with intimate knowledge of Presley’s life and career. It’s obvious that at this moment in its existence Elvis Presley Enterprises could not be in better hands than it is under the ownership of Authentic Brands Group and the management of Jack Soden and Joel Weinshanker. Elvis fans all over the world now have multiple reasons to return to Memphis and Graceland. It’s no longer simply a “been-there-done-that” experience. "After wandering in the wilderness for a decade, EPE appears to be in the hands of a company that would shepherd it into the future with care and commitment. But would the actions of the new owners match their rhetoric?"